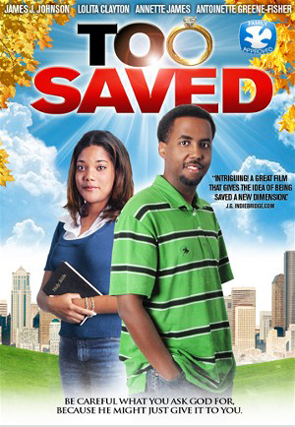 Too Saved (2007) is a low budget, Christian movie. It does not have any of your popular faces or any fantastic locations but I would say, it's profitable to direct. Lisa has prayed for years that God would save Bobby, she seems to be stuck in "faking it till she makes it" but when he finally sees the light its much more than Lisa bargained for. Is Bobby Too Saved to hold onto his relationship with Lisa? I can't say much about this film without spoiling it I'm sure you will be blessed.